Are you ready to learn how to read? Of course, you know how to read English, but how do you attempt learning how to read all over again—in a different language? With English under your belt, you’ve already got a strong foundation. Some words will be easily recognizable—especially when they’re cognates—which will make understanding the subject of what you’re reading easy at first. But there are some key things you must do in order to read French well and to eventually be able to read just as well in French as you do in English. Reading in French is like a test run to pronouncing French words correctly, so understanding how individual sounds work in French will help you speak accurate French straight from the get-go. The BBC website is a great place where you can start exploring the similarities and differences between French and English pronunciation. IElanguages.com has a French language tutorial that offers an overview of French pronunciation intended for English speakers, along with lots of audio so you can familiarize yourself with the way words and sentences sound. Take some time to get familiar with the sounds, speaking them out loud and understanding the phonetics. When you feel comfortable, read some sentences from the newspaper out loud (even if you don’t quite understand them yet) to get some practice. Make notes on the page if there’s a sound that confuses you—then look it up. Find out what kind of technique will help you remember these nuances (for there are many in French!) and implement it as you learn. Will rewriting the sounds with IPA symbols help solidify their sounds in your brain? Or would it be better to watch videos on YouTube or a text-to-speech application like Acapela to hear the native pronunciation? You can always try using FluentU to watch videos, read transcripts and keep track of the new vocabulary you’re learning—and you can click on any vocabulary word to hear it pronounced and used in sentences. Consider making notes on objects around the house with their French words, and make yourself pronounce the word out loud as you hang around at home. Recording your voice could help you compare it to the correct pronunciation and evaluate how well you’re understanding. After you’ve gotten a handle on how the French pronounce their words, it’s time to put those sounds together to create words and sentences. This is where your dictionary or WordReference come in handy and your vocabulary skills are put to the test! After you’ve gotten a grasp on how singular consonants and sounds are pronounced, it’s a matter of placing them together and getting into the habit of hearing them combined to create a word. Just like in English, sounds change depending on how they’re organized in a sentence—just think of all our silent letters and strange pronunciations that depend on how words are placed together. Try doing this yourself and then checking your work by listening to the word pronounced. Forvo is a great resource that has a list of pronounced French words for you to listen to. A great tool that can help you throughout the entire phonetic process—from learning the alphabet to correctly pronouncing words—is Phonetique, which will teach you every aspect of French sounds (including the liason, the sound that connects certain words in French based on what letter is at the end of a word) and then introduce you to fun exercises that will help you practice what you’ve learned. It’s implied that learning how to read and understand French means that you must have a basic understanding of French grammar. Once you’ve nailed the pronunciation, it’s time to get a handle on how these words fit together to create well-structured sentences. To read in French, you’ll need to be able to read long strings of words. Start with basic French sentences and structures, which will most likely include the present tense (le present) and the most common French verbs. Understand how French sentence structure works. Though both English and French are Subject-Verb-Object languages, elements like adjectives and pronouns are placed differently than in English. Questions are also organized differently in French. There are myriad books and online resources for getting a handle on French grammar, verb conjugation and sentence structure, including “English Grammar for Students of French,” “501 French Verbs,” Tex’s French Grammar, BBC French and more. Many websites offer free quizzes and games to test you as you learn. Now that you’ve got the grammar and pronunciation down, it’s time to practice. It’s crucial that you spend every day reading French—even if it’s just a little bit. If you’re a morning person, add reading an article on Le Monde or something else online to your morning schedule. Perhaps taking a break during the workday to tackle the first few pages of a French picture book could be a great way to change up your normal routine. Evaluate what your day looks like, see where you can fit in a few minutes of French reading and make it a habit. As you infuse French reading into your daily routine, you’ll find yourself improving quickly and steadily. From young adult to literary to sci-fi to mysteries, there are so many books to choose from in the French world. Pack your shelves with beginner titles—children’s books are a great place to start—and then hunt down some of the best French writers. Many newspapers and magazines have made online lists suggesting some of the best French writers of both our time and all time (see here and here), and even Amazon is a great spot to find titles similar to the one you end up loving. While you’re learning how to read, you’ll also learn a lot about the fascinating and diverse French culture, which will only inspire you to keep learning. The greatest part about keeping a diverse bookshelf is engaging in many different aspects that the French culture has to offer. Reading in French should be just as enjoyable as your leisure reading in English. If you enjoy French novels, stock your shelves with some easy novels in a genre you particularly enjoy. Get a stack of French magazines and place them in a spot for easy, fun reading. Consider French comics, which have pictures that make reading not only more fun but also easier to understand without constantly having to whip out your dictionary. To get the news and some French practice at the same time, select some newspapers to read online or to pick up locally. And if you’re also a fan of French poetry, consider that as a valuable tool for not only practicing your comprehension, but testing your ability to think conceptually and recognize literary elements like metaphors and similes. Book clubs don’t only exist in the English-speaking world. Find some French locals and meet up often to talk about a book—or even just the news or an interesting feature in a magazine. If you’re held accountable for what you read, you’ll find yourself working harder to truly comprehend, and in turn, you’ll inevitably learn more quickly. If there isn’t anyone local, try some book chat online! Book Node is a great website for general discussion about books, news in the literary world, and more. From sounding out French consonants to conquering Baudelaire, reading is a learning process that’s certainly worth venturing into. 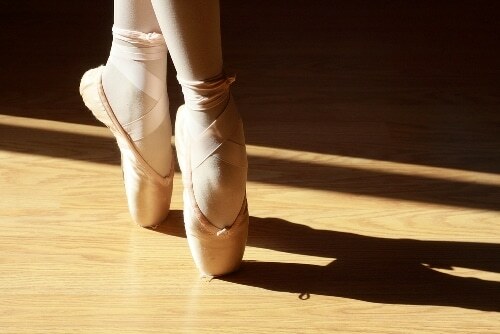 Use the plethora of resources available to you, and practice, practice, practice! 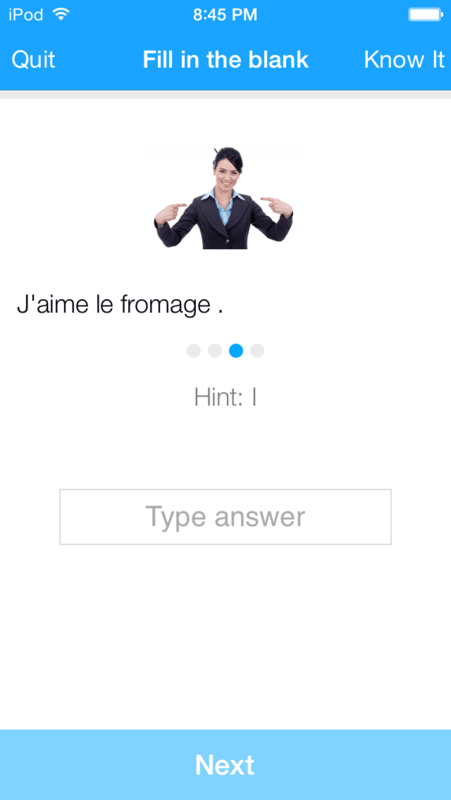 If you like learning French language and culture at the same time, then you’ll love FluentU. FluentU lets you learn French with authentic French videos like classic movie clips, funny TV commercials, news reports and inspiring talks. 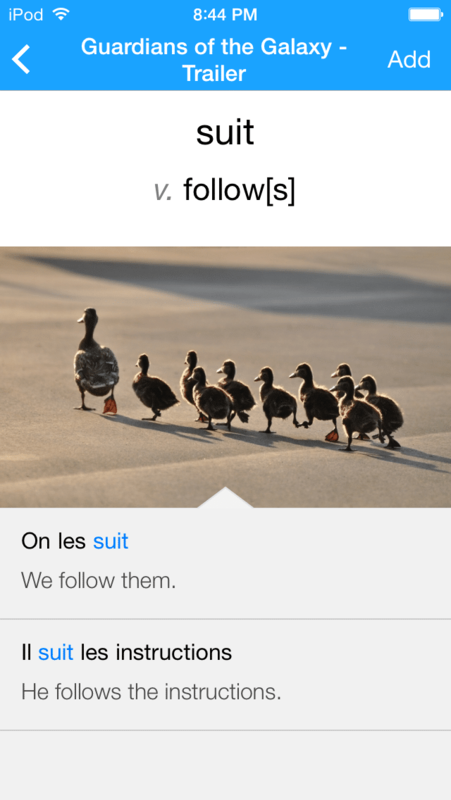 FluentU turns them into French learning experiences so that you can learn real French—the same way that people speak it in real life. 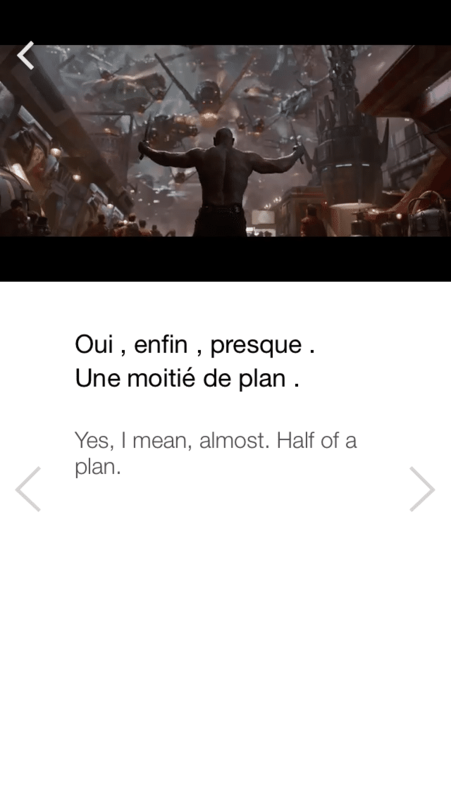 FluentU makes it really easy to watch French videos with interactive captions. What does this mean? You can tap on any word to see an image, definition and useful examples. Perhaps the coolest part is that FluentU knows the vocabulary that you’re learning. It uses that vocab to recommend you examples and videos. You have a truly personalized experience. Start using FluentU on the website with your computer or tablet or, better yet, download the FluentU app from the iTunes or Google Play stores.